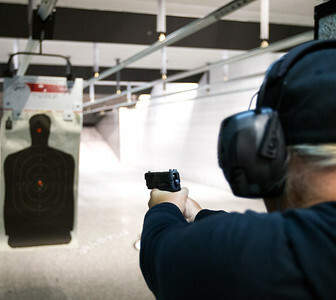 Whitney Rupp for Shaw Media Cathy Levin fires a handgun during a range rental session at Second Amendment Sports in McHenry Friday, March 2. 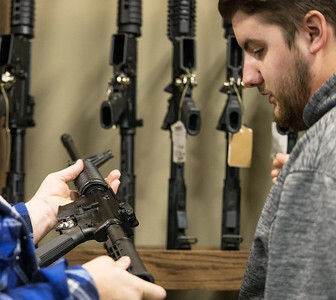 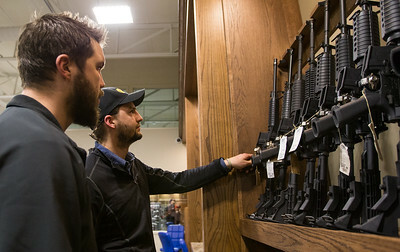 Whitney Rupp for Shaw Media Brothers Andy Popp, left, and Ben Popp, both of Crystal Lake, look at rifles on display at Second Amendment Sports in McHenry Friday, March 2. 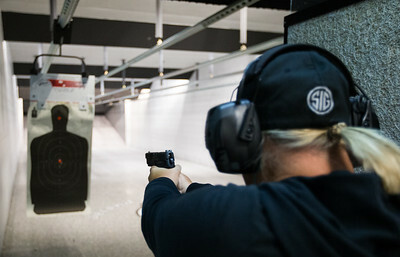 Whitney Rupp for Shaw Media A paper target in the firing range at Second Amendment Sports in McHenry is reeled in after being fired at. 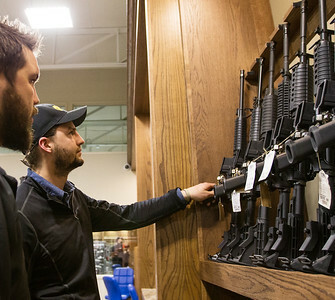 Whitney Rupp for Shaw Media Bert Irslinger, general manager of Second Amendment Sports, talks about the features of a handgun in the store Friday, March 2. 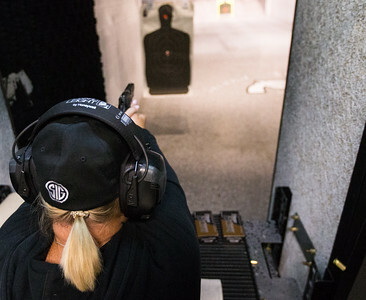 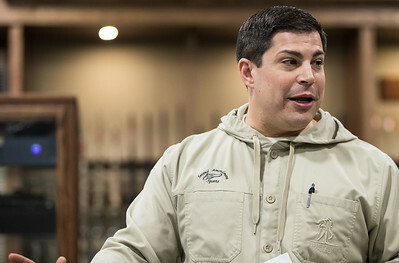 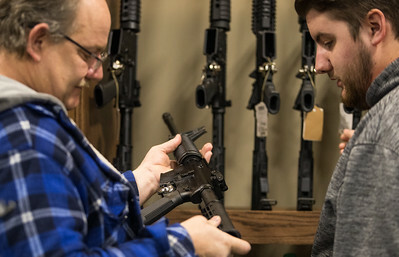 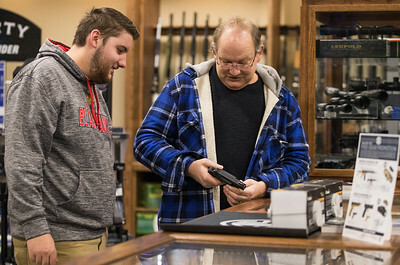 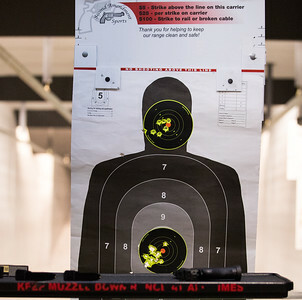 The store, located at 3705 W. Elm St. in McHenry, sells firearms and firearm accessories, offers safety and training courses and is equipped with a 14-lane shooting range.